After ten years of investigation and more than three years after his original arrest in Spain in 2015, Columbian national Andres Lopez Elorza, 38, has been extradited back to the United States for his court appearance in Brooklyn on Tuesday. Elorza is a veterinarian accused of surgically implanting millions of dollars of liquid heroin into an undetermined number of puppies to smuggle into the US. He has pleaded not guilty to all U.S. charges, including conspiring to import and distribute heroin into the United States. If convicted, he faces a minimum sentence of 10 years in prison and as much as a life sentence. Following his plea, he was ordered to be held without bail. A testimony at the time of his arrest determined the Veterinarian and his accomplices had been operating the trafficking ring since 2005 and had brought more than 40 lbs. of heroin into the US. 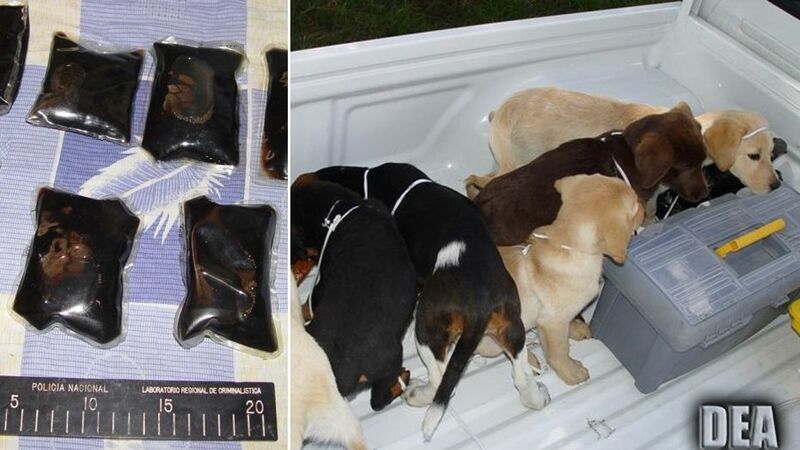 The distribution network ran from New York City to Miami and used multiple methods to bring the illicit drug into the states, the Labrador retriever puppies being just one of them. It is believed that the dogs were sent on commercial flights to New York City, where smugglers would cut the packets out of the small helpless dogs. Several dogs died during the process, but the actual number of dogs killed in the scheme was unknown. Ten puppies were found during a 2005 raid on a farm in Medillin, Columbia, after the DEA team in New York began working with the Columbian DEA task force following a lead about a Vet shuttling drugs through dogs. Five of the dogs ran away, three died from infection and two were adopted, including one who became a drug sniffing dog for the Columbian police, according to officials. Elorza’s lawyer, Mitch Dinnerstein, declined to comment on Tuesday.